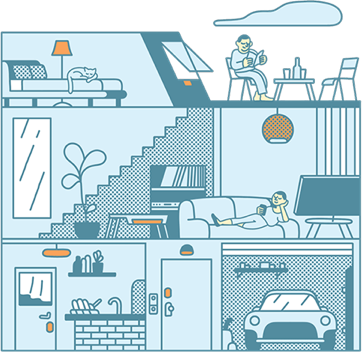 If you’ve outfitted your home with smart technology—even one gadget—you’re well aware of the ease, convenience, control, and security it brings to your life. But why stop where you are? Advances in smart home technology and the Internet of Things (IoT) aren’t slowing down any time soon, which means you always have multiple options available for continually streamlining your home and increasing security. So what can you do to update your home in 2018? A lot. With a smart thermostat, easily control the temperature in your home from a central control panel, with the sound of your voice, or using your mobile device. 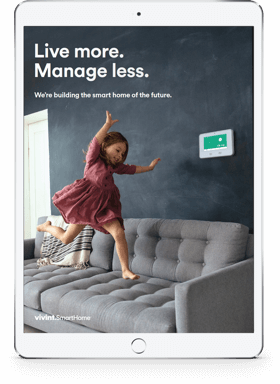 Combined with a smart assistant that intuits and learns your preferences and behaviors, your thermostat can automatically adjust the temperature—saving you valuable time, energy, and money. Always know what’s happening at home with indoor surveillance cameras. Keep an eye on the kids, monitor your pets, and stay apprised of who’s coming and who’s going. Be sure to install cameras that link to your mobile device so you can view real-time video footage from anywhere. Even better? Install indoor cameras with two-way talk, so you easily converse with those at home. Enjoy increased security with a video doorbell camera that allows you to see and converse with the person on your porch without opening the door. 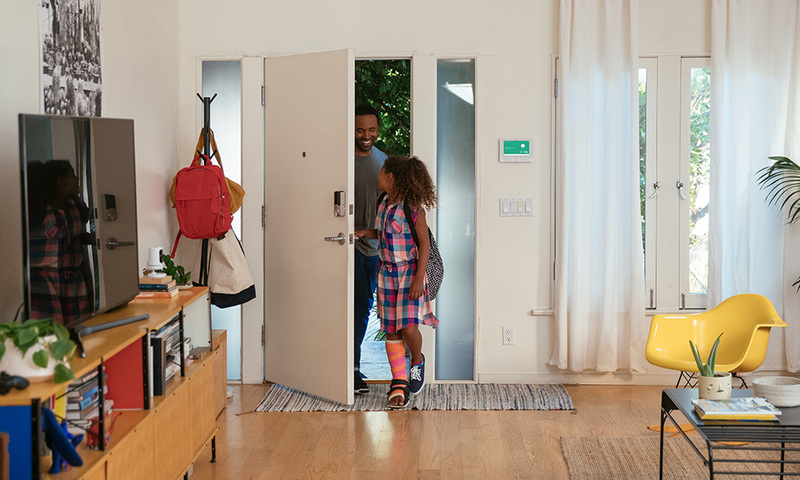 A doorbell that integrates with your mobile device means you can check the door without leaving the couch, from the grocery store, or while on your beach vacation. Now that’s convenience and control. 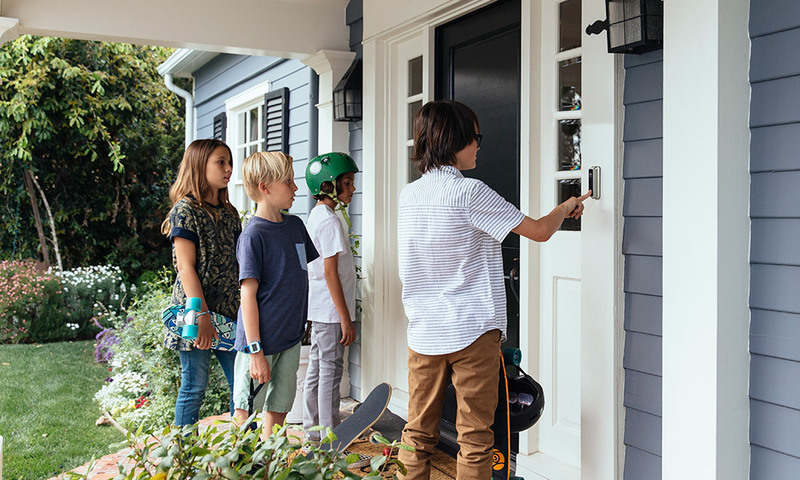 Doorbell cameras give you front porch control, letting you see and speak to whomever stops by. Glass break sensors sound an alarm if a window breaks, alerting you to possible intrusion. At the hint of smoke, today’s smart smoke detectors sound an alarm and notify you on your mobile device. You can call emergency services even if you’re not home to smell the smoke. A carbon monoxide detector only makes sense when it’s impossible for you to detect this odorless and potentially lethal gas. Protect your loved ones by installing them in your home. Show the love with a panic pendant. Do you have a loved one that may be at risk of falling? Perhaps they live alone and cannot always get to their phone. With a panic pendant worn around the neck, they can easily and quickly get help with the push of a button no matter where they are. No more hiding a spare key under a rock. Install smart locks and you’ll never have to worry about losing keys again. With unique access codes, everyone in the family can have quick, easy entry into the home. You can even provide guests with temporary passcodes while they’re staying in your home. And with mobile access, benefit from the added convenience of locking and unlocking doors and arming your security system remotely. Smart locks provide security and flexibility with unique access codes and remote locking. Smart speakers like Google Home and Amazon Echo are steadily gaining in popularity, and for good reason. Simply speak, and your home listens. Imagine the convenience of entering your home with arms full of groceries and locking doors, arming your security system, or closing the garage—all with the sound of your voice. It’s the ability to multitask like never before. No more walking through the house every night flicking light switches. Upgrade your house with smart lighting and you can control the lights in your home from a central control panel. Coupled with a smart speaker you can adjust lighting with the sound of your voice. So go ahead and start your movie and dim the lights with a voice command. No need to get up. Increase your home’s security with the ability to view activity outside your home from a central hub. Install outdoor security cameras with night vision, and you’ll be able to see who enters your property, keep an eye your vehicles and entrances to your home, or monitor street activity. Link cameras to your mobile device and you can view live video feed any time, from anywhere. 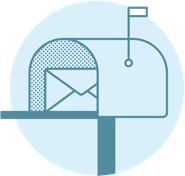 Learn more about how smart home gadgets can function together as part of a home security system, or call 800.646.1469 and speak to a home expert who can help you build your ideal smart home.